The Socomec MULTIS range is a three phase multifunction measurement device. 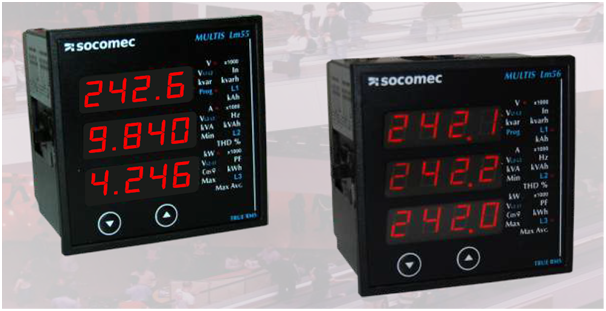 It measures three phase voltages, current, power, frequency, PF, THD with max demand and Import / Export feature. In addition it also has Rs485 communication port.